SARAJEVO, BOSNIA AND HERZEGOVINA. 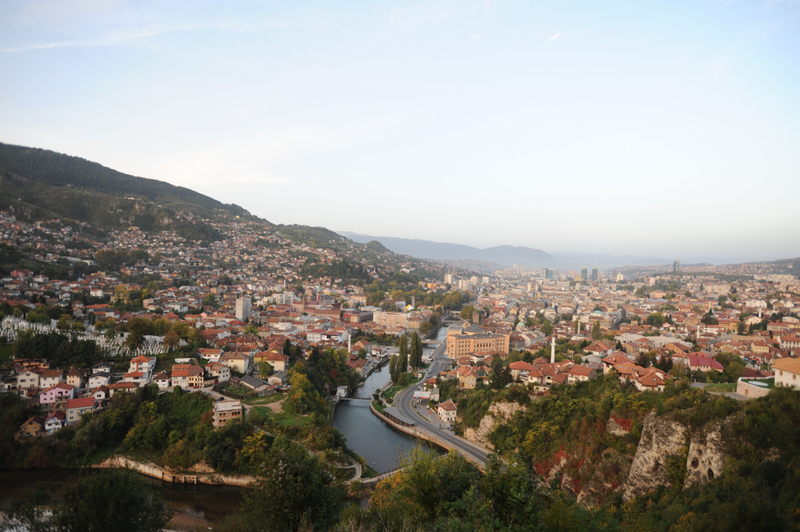 A view of the Miljacka River which runs through Sarajevo from the Austro-Hungarian Jajce Barracks on October 14, 2014. The Jajce Barracks were in use by the Yugoslav Army until 1992 and have fallen into a serious state of disrepair first due to the siege from 1992-1995 and then due to lack of care in the period after the war; at one point an investor thought to make a hotel out of the property but due to its unresolved status as military property, which falls under the jurisdiction of no other state agency, this did not happen.